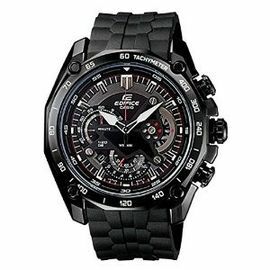 Upgrade your style quotient with the ultra smart Casio Edifice ED436. A stainless steel strap attached to the Casio ED436 timepiece complements the black round dial and is covered by a stainless steel case. 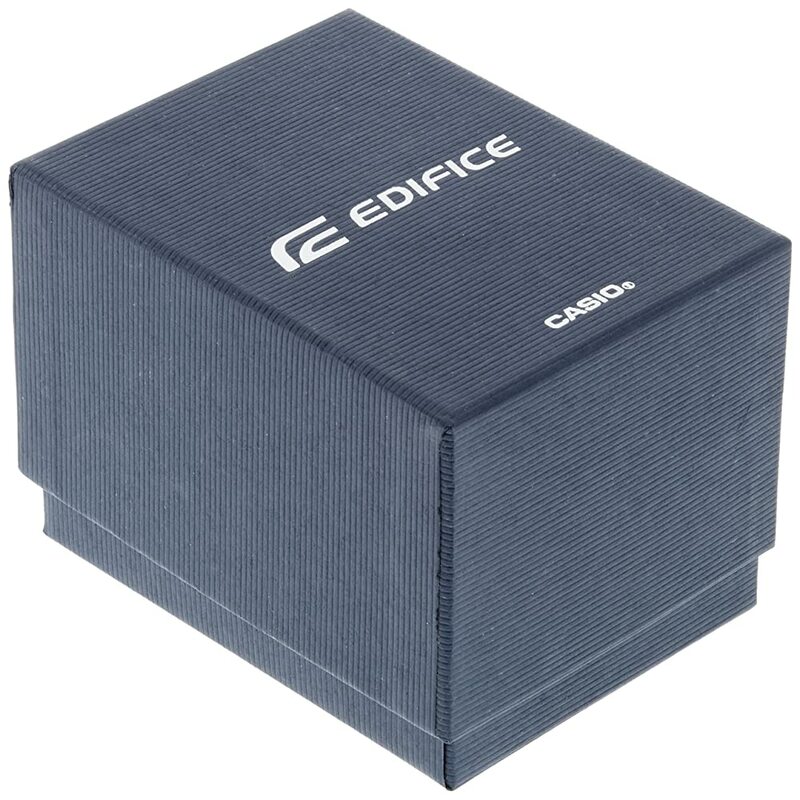 The sturdy case offers protection to its delicate internal components and also makes the watch highly durable and rust-resistant. 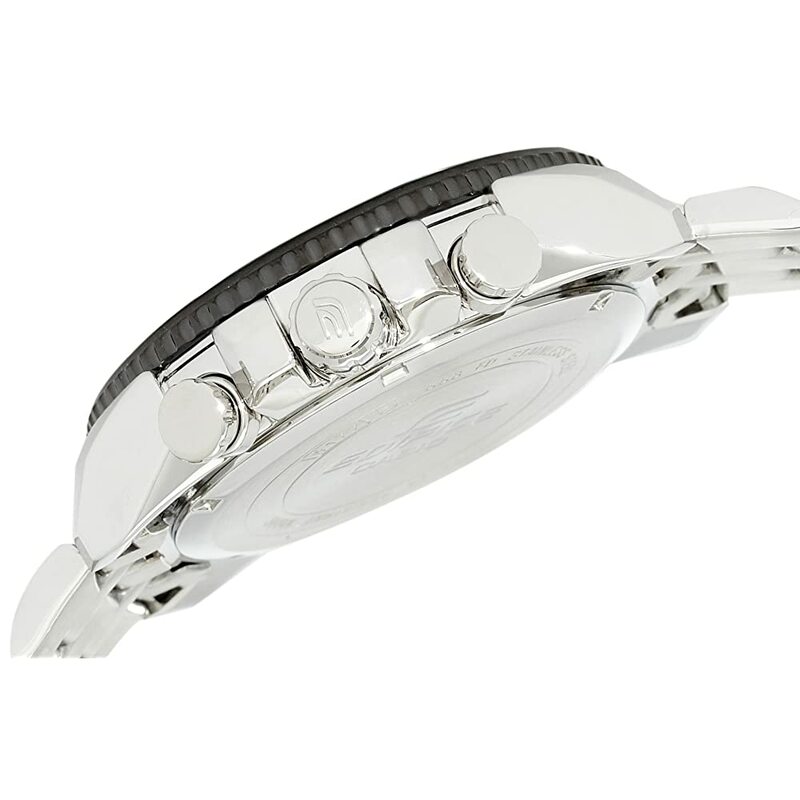 Its stainless steel bezel highlights the elegance of the retrograde dial. 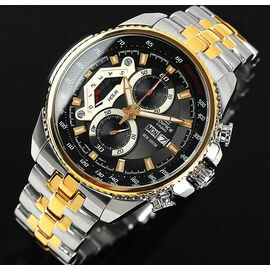 The dial is ion plated and has a subtle touch of sophistication. 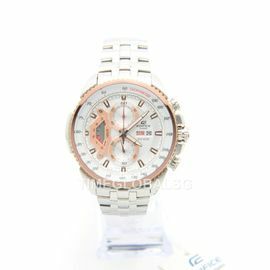 Mineral glass protects the watch face from scratches as well as adds gloss to its overall appearance. 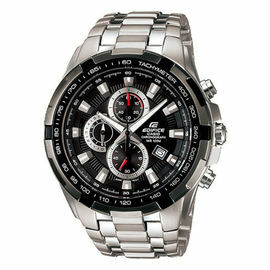 The Casio men's chronograph watch records the time taken for an acitivity by keeping track of the start and stop time. 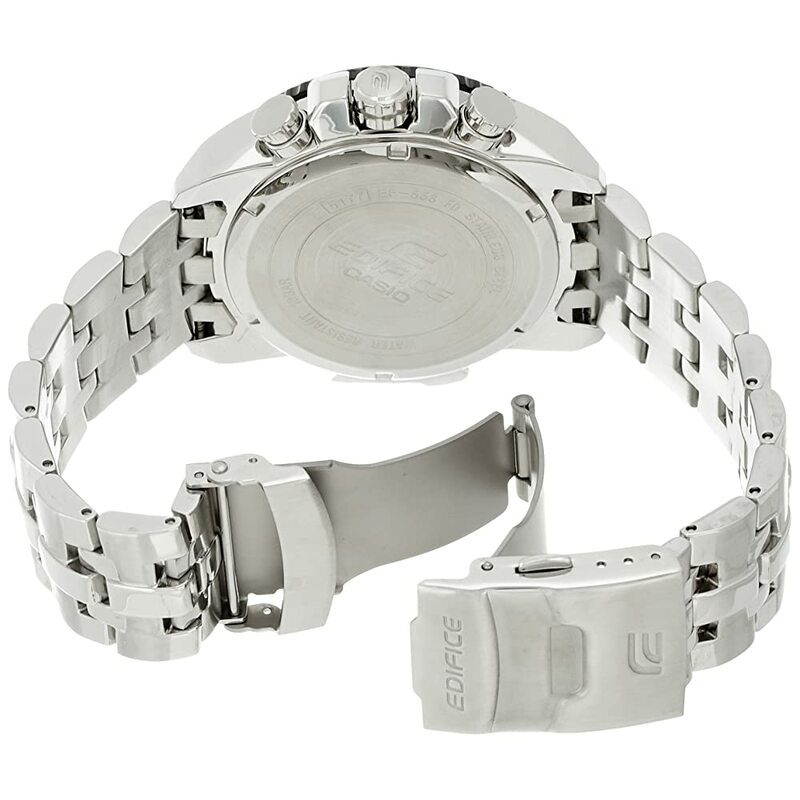 A double-lock, one-press, three-fold clasp ensures that it never slips off your wrist and offers a perfect grip. 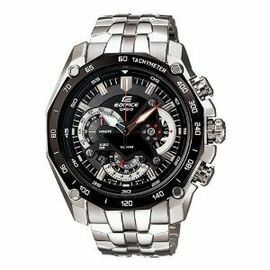 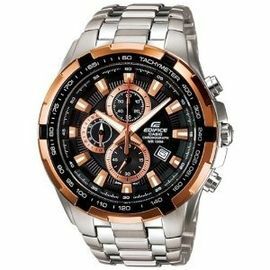 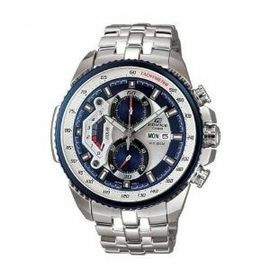 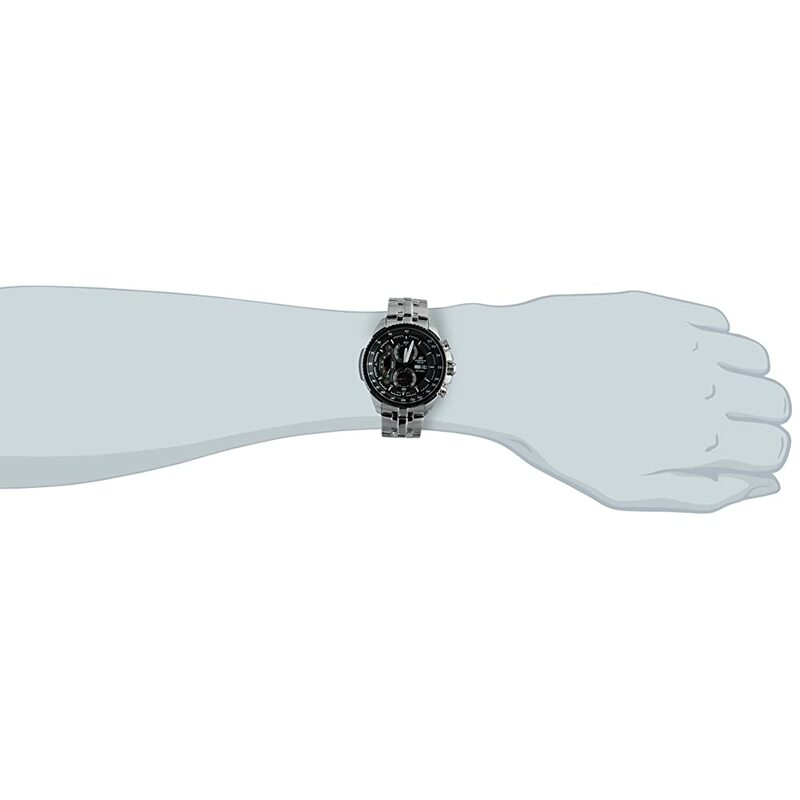 Being water-resistant upto 100m, the ED436 Casio Edifice chronograph men's watch can be used safely even while enjoying your favourite water sport. 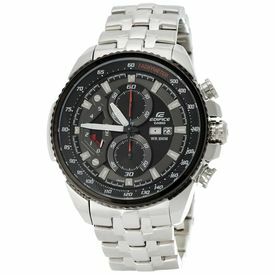 This watch also features day and date display, a measuring capacity of 4:59'59 for the one-second stopwatch and three subdials (timekeeping second, stopwatch hours and stopwatch minutes) in a stylish case. 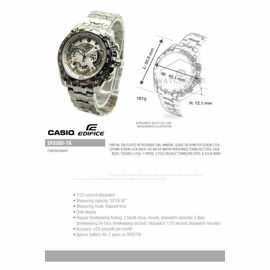 It runs on Japanese quartz movement for reliable timekeeping.